Hi friends! 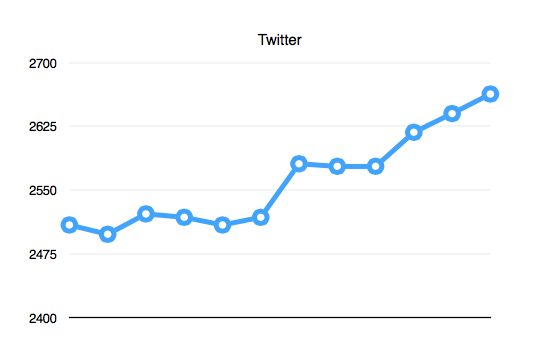 6 months ago, I had an idea to track the tangible increase and decrease in my social media followers for our blog. Today, I want to share my results of the past 6 months and tell you why bloggers should consider ditching promoting their posts on Facebook, and focus their efforts on other social media channels. Side note: This is just my point of view. Hey, if Facebook is working well for you specifically, you should definitely keep at it! For me, as you will see, Facebook kind of stinks and doesn't help the Our Mini Family blog all that much. Your followers are NOT guaranteed to see your posts. Post by Our Mini Family. At the time, I had over 3500 Facebook followers. Guess how many people saw that post? 64. Yup. This is the only social media platform that complicates things. When I go to Twitter, I know that I will be able to scroll through my feed of tweets and see tweets of accounts I have chosen to follow. Instagram, I open the app: bam! There is my feed. Pinterest? Yes, there is a lot to see on Pinterest, but I know all of my pins of my favorite people who I've followed will all be there as I continue to scroll through. Facebook, however, has decided to make it all about putting money in Mark Zuckerberg's pocket. There! I said it! But in all seriousness, I understand that these companies all have their ways to make money--that is , by including sponsored or promoted posts that are added to your feed. 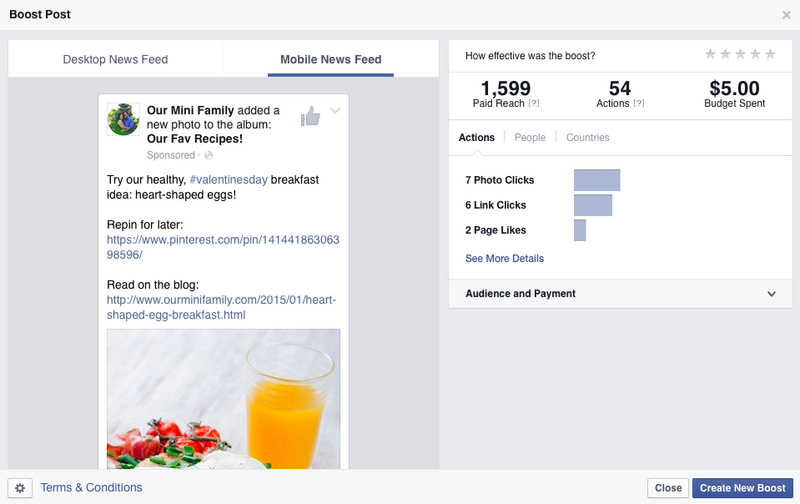 But see, here is the difference: the other social media channels will just add in more sponsored posts on top of yours in the feed, but Facebook will take out, pick, and choose what someone sees on their feed. There is a small workaround for this if you have a page you know you want to see 100% of the time, but Facebook does not advertise this. Bottom line, it is not fair to those who don't want/have the money to advertise. Which brings me to my next point. Facebook's Promoted Posts are Not Great. This post, I paid $3 to have only 280 (who already liked my page) to see this. This resulted in 3 post likes, 5 click throughs on my link in the post, and 280 pairs of eyes to see it. That's it. So for the price of an iced coffee, roughly 8% of my followers saw this post and less than 1% of my followers interacted with my post. To be fair, this is a post that doesn't have all that much substance to it. So let me give another example where it's something that is bread and butter to our blog: a food post! This post, I paid $5 to have almost 50% of my followers to see this. This resulted in 82 post likes, only 6 click throughs on my link in the post, and because of shares that were made of the post I gained an additional 2 followers. That's really it. This post has a lot more interaction on it, but as far as referrals go and linking back to our blog and our Pinterest page, only a combined 6 click throughs were made. Facebook is Losing its Flame. 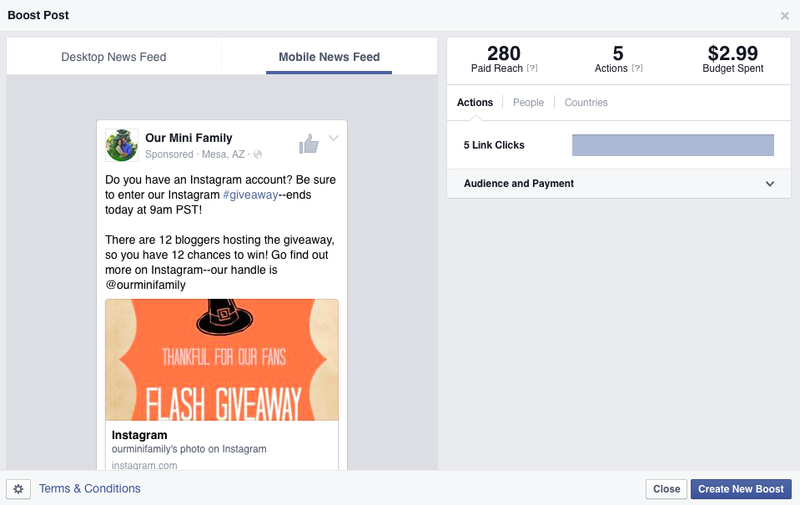 Over the course of one month, only 1 person came to the Our Mini Family Facebook page from another website (e.g. my blog, someone else's site, etc). Just 1. I have had multiple people "hide all from page" and report my sponsored posts as spam. And this is the people who have actually already liked my page. Seriously, Facebook is all about businesses trying to connect on a more personal level with people and it makes our Facebook feeds seem more like a commercial than a social media thread. Because of these reports, there is a significant decrease in my followers on Facebook compared to my other pages like Twitter, Pinterest, Instagram, Google Plus, Bloglovin, etc. You see the difference, right? It's clear that my Facebook page for our blog is losing popularity, and that is even when I am sharing the same content on all of my social media platforms; it's evident that Facebook is not cut out for our blog for the time being, so I will be devoting more attention to other social media platforms. I hope you took something away from this--if anything, I hope you are inspired to track your own data like I have been! You are right--interaction is super important! That also helps your post reach, too, since when someone comments on your post all of their Facebook friends will see that they are commenting on your page, too! I agree--Pinterest is da bomb diggity! I know for some people who've built up active communities on FB it still works. However, for most of us, it's a bust. I gave up on doing anything on FB, unless required by a client, as I noticed it sends me very little traffic. It's just not worth my time. Instead I use FB as a way to network with fellow bloggers and keep up with friends. 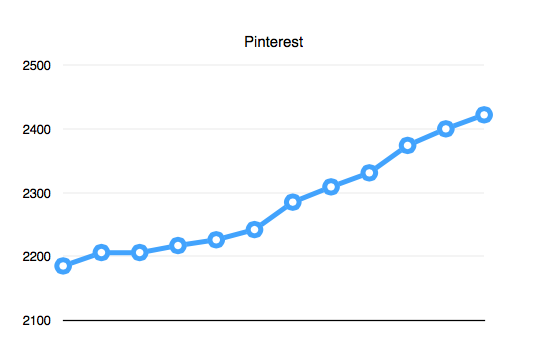 For traffic, Google search and Pinterest are still the best for my blog. I 100% agree with you! FB is a great way to connect with fellow bloggers for sure, and even a great place to network with other bloggers and brands directly. And yes, for me Google, Pinterest, and Stumble upon searches have been the most successful for driving traffic to our blog site. 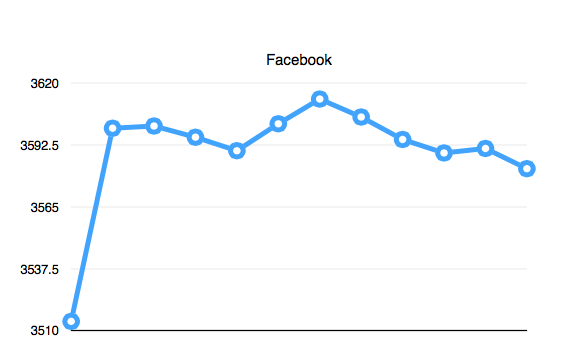 I've noticed in the past few weeks a significant drop on my FB fan page likes. Although there is more interaction my numbers are drop frequently and it's very discouraging. I honestly feel that Facebook is possibly unliking my page for my followers. Great post, and it's good to know I'm not alone! I actually have very few visitors from Twitter (if any), a handful from Facebook (still, ot that many), and A TON from Pinterest. I'm actually trying to figure out how to harness this Pintrest power on my blog right now, and came across this post on a Pinterest hop. How the heck do you get so much action from Twitter?! This is awesome info! I've just recently started dipping my feet into blogging, and I need information like this. Thanks! Welcome to the blogging community, Ben! Glad you found this information helpful. Feel free to email/tweet me anytime should you have any questions--happy to help if I can! Facebook IS crap, but I am not ready to let go yet. I have no idea why they keep changing their algorithms over there, but it's practically a waste of time to post anything over there. I know what you mean--it's hard to let go of something when everyone else around you is using it. I agree though I feel like I waste my time when I share my posts on there these days. Yes, but I hope that either a) Facebook makes changes or b) the blogging community changes so that we all rely less (and eventually not at all) on Facebook. I have to agree with you, I've been so disappointed with Facebook. It's horrible the changes they've made. Yeah, definitely. But thanks for coming by to read my post, Tammi! I completely agree with you. I'd love to give up FB but just am afraid for some reason! It's totally legitimate to be afraid--after all, everyone is using it right now! So dropping it now would mean you are in the minority. I hear you! I have a Facebook page for my blog. Unfortunately, I agree that it is nothing compared to the other social media outlets! Yeah my other outlets are definitely thriving compared to FB! It's definitely gotten harder on Facebook. I am trying to devote more time time to Twitter, Instagram and Pinterest. Do you have any others to recommend? Google Plus as well--it will help with SEO! I do use the other social media outlets more than as facebook. Wish brands wouldn't rely on it for choices. Same here--but big brands definitely have a likelihood to support Facebook advertising (since they have budgets), so I would understand why they still want us using Facebook on campaigns. I don't think that I could ever get rid of facebook. Some of the changes have sucked but I hope one day it will turn back around. It would be really nice if things went back the way they were like 1 year ago for sure. I totally agree! I actually have liked several other blogs and I rarely see half of them, so I assume no one is seeing any of my updates. Totally lame. Same here---so I always make sure now to follow other bloggers on Twitter, since I know I get to see all of those updates on my feed. People follow too many friends, businesses, groups, and pages to see everything in their feed. In any 24 hour period if you were on Facebook and constantly scrolling through your feed that entire time you can only see 1500 posts. The algorithm is your own personal one according to what you interact with so get rid of the stuff you don't want to see. The old thought was the more friends you had the better and the more pages you followed the better that just isn't true anymore because there is too much in your feed and your fans feeds to see everything even if they genuinely wanted to. Scale down and you will be so much happier with the result. Does that mean all of your fans will scale down? No but post the content they want to see and go light on the other stuff for a while and see if that makes a difference in your numbers. 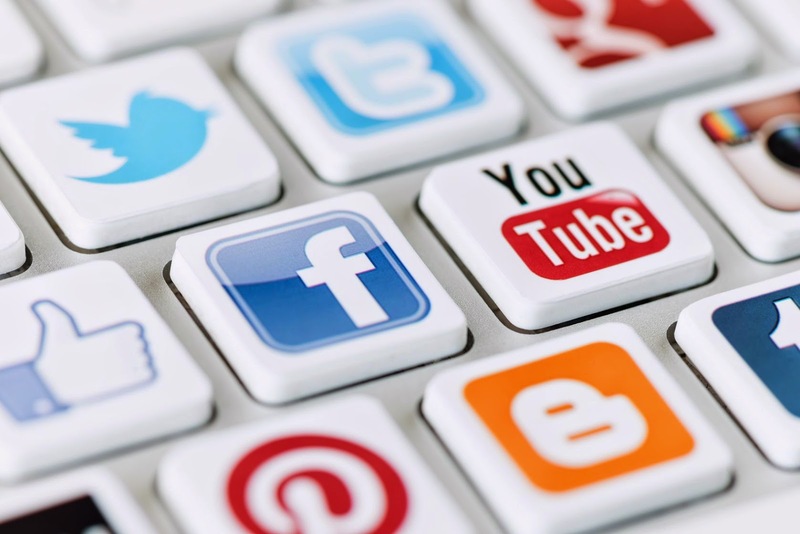 If you don't love what you are posting likely your Facebook Fans will not either. Oh I definitely have scaled down on the content that I feel as though may not be relevant--I used to run a number of Facebook #ad campaigns to make cash, but I have completely stopped doing that these past few months. Sadly, I have not noticed a difference. Great point, though! I have slowly watched my Facebook numbers go down. Of course, I originally obtained many of them through giveaways, and I realize that they are not really interested in seeing my posts. Instead, I enjoy seeing new followers who really are interested. They are the ones who interact. Like you said, I am just not concentrating on that as a main source of blog readership. Pinterest seems to be the best one for me, and I gain new followers every day! That is good that you are seeing interaction--I have had just the same amount and less and less as the days go by. I am glad you have good interaction on your page! I feel like FB gives you LESS promo with paid ads! They are kind of insane! Maybe they do I am not sure! Would be interesting to really look into that. Yes, they do. You are right--and that is ultimately the reason why I haven't given it up entirely yet.